Applications Open for the 2019 EarthEcho Water Challenge Ambassadors! Young water conservation leaders are invited to apply to serve as a 2019 EarthEcho Water Challenge Ambassador. The EarthEcho Water Challenge Ambassadors is an initiative coordinated by the EarthEcho Youth Leadership Council, and annually unites a group of 20 young conservation leaders from across the United States, ages 14-22. During their year long term, Ambassadors expand their knowledge of water quality and conservation, carry out ongoing efforts to monitor local water quality, and receive training to help them plan and implement water monitoring and conservation focused education programs in their communities. 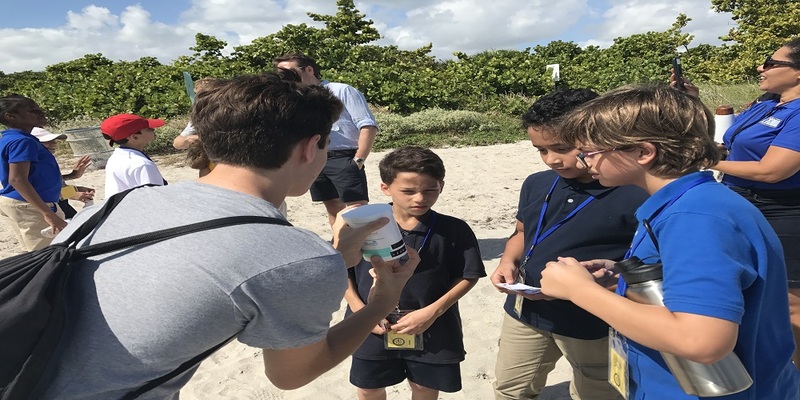 They will also gain a diverse set of skills working alongside their peers and the EarthEcho International team, including EarthEcho co-founder, Philippe Cousteau, as they expand the EarthEcho Water Challenge program. The EarthEcho Water Challenge engages citizens to conduct basic monitoring of their local bodies of water through three main tenets: Test, Share, and Protect. Through these three actionable items, participants are empowered to monitor local water quality, share their results in an international, online database and learn how to protect our vital water resources. Applications for the 2019 class of EarthEcho Water Challenge Ambassadors are open through March 1, 2019. Interested individuals can visit www.monitorwater.org/ambassadors to apply today!